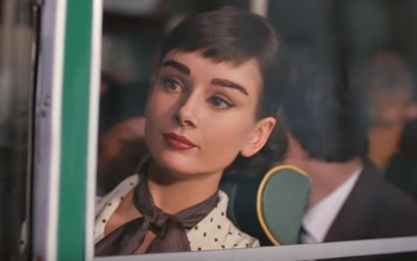 Galaxy Chocolate UK brings Audrey Hepburn back in a shorter version of the advert starring the British actress, released in 2013. Created using computer generated technology, the spot, set in an Italian seaside town of the 1960s, features Audrey getting off a crowded bus, whose driver is having an argument with a fruiterer, taking the driver’s cap and getting on the convertible driven by a handsome Italian man, who had invited her to join him in the front seat. She puts the cap of the bus driver on the man’s head and then gets in the back seat of his car and indulges herself with the Galaxy Chocolate she had in her purse. The ad, directed by Daniel Kleinman and Rattling Stick, features Audrey Hepburn’s Moon River (Analog Remastering) song. Four years ago, this ad, running 60-second long, has created controversy, some voices describing it as “spooky”. However, the sons of The Breakfast At Tiffany’s star, Sean Ferrer and Luca Dotti, stated that “it (the spot – which took more than one year to make) perfectly captures our mother’s playful spirit”.